Almost 30 years into their career, Depeche Mode continue to uphold their reputation as pioneers of electronic pop and the alternative music scene. So what keeps the engine running after three decades? 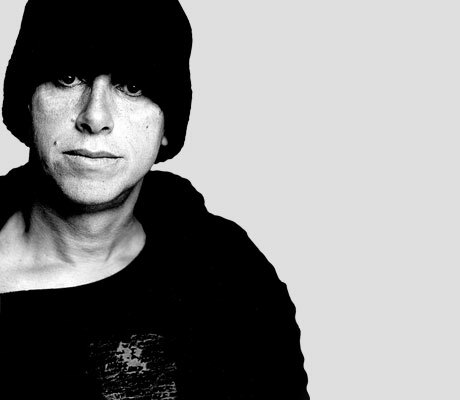 "I think it's the quest for eternally making interesting music that has a place in the contemporary world," explains chief songwriter, keyboardist and guitarist Martin Gore. "We don't want to make retro-sounding albums, even though we might use some old gear." Sounds of the Universe, their 12th studio album, was created thanks to Gore's addiction to eBay, where he spent his time and money bidding on vintage analog equipment, and almost immediately you can hear the influence. However, Speak & Spell, it isn't. "We're aware of what we've done in the past and try not to retrace our steps too much," he adds. "We always try to somehow forge forwards and do things that are different. So although we've used a lot of vintage equipment we've also melded that quite well with modern equipment and technology." Judging by the last four albums, it's apparent that they'll likely never record another Violator or even find the legions of new fans that album did, but Sounds further cements that DM are as relevant as ever, and really should pamper any fan's need. Obviously Depeche Mode is taking up the majority of my time at the moment. We're just starting a month of promotion for the new album. And then we go straight into rehearsals and then straight into a tour, which starts in early May. An eBay addiction. I've been buying lots of old vintage analog synthesizers and drum machines, sequencers and guitar pedals. They heavily helped to shape the sound of the new record. Initially the answer to that question is very boring. I got married to an American who suffered living with me in England for 11 years, and then forced me to live in America because she couldn't take it anymore. But I've since divorced and I happen to actually like living in Santa Barbara. It's a nice town with great weather all year 'round. It leads to a very healthy lifestyle there. I play on a soccer team whenever I'm home. I recently started reading poems by this old Persian poet named Hāfez, and he's been translated into English. The translations are much more modern, but I find it mind-blowing what he was writing about and how he got away with it. There were two concerts that I saw close to each other around 1981. They were within a couple of months, and they were so markedly different, which is why I think they were so inspirational. I saw Kraftwerk and the great stage set-up, the starkness of everything and the robot style of their stage presence, which was such a contrast to a few weeks later seeing the Ramones. Ramones were just so frenetic, it was unbelievable that there wasn't a second between songs and it was all so fast. It was really pure adrenaline. If I had to pick one career high it would be playing the Rose Bowl in 1988 [recorded for 101], just because it was such a landmark, not just for us but for alternative music and electronic music. It was a big venture, a big risk at the time. Nobody really believed an alternative and especially electronic band could play that sort of venue. And we proved everybody wrong. Career lows - oh, we've had a few of those [laughs]. Probably the Songs of Faith and Devotion tour, because it just dragged on for so long. You just felt so morose during parts of it because there was no light at the end of the tunnel. I'm not surprised we all turned to various drugs and alcohol to try and get through the boredom of it. We did a so-called "exotic leg" where we played Singapore and the Philippines, and we were just thinking, "Why are we playing here? We've been on tour for a year, why are we in Singapore?" It's remarkable that we could, but after a year of touring you start thinking, "Well, we don't really sell records here. There is an audience to come see us, but what is the whole point of this?" Had it been the first part of the tour, maybe it wouldn't have felt so depressing. It was definitely a life-altering experience because once you subject yourself to that much drugs and alcohol, I don't think you can then easily turn away from them, so that caused us a lot of problems. There's one thing that always sticks in our minds, and I wonder if this person remembers saying it, he probably doesn't. But we played the Ritz in New York twice really early on in our career, and the first time we played there everything was fine and it was a good show. And we went back a second time not long after, maybe within six months, and we had to do Top of the Pops [in England] and then they put us on the Concorde to get us to New York in time to play the show at the Ritz. Concorde had problems and we were delayed. So we ended up getting there later than we would have done taking a normal plane. We arrived late in New York and then we had a really late soundcheck. And you didn't go on till really late, two in the morning at the Ritz in those days, so we were all totally jetlagged, all of our equipment broke down and it was an absolutely dreadful show. And I remember leaving the venue very depressed and some guy came up to us and said, "What happened to you guys? You used to be good!" [Laughs] That was a long time ago but we still remember that one. One of the things I dislike is that I think I'm quite obsessive and can be, if I let myself, pedantic about things. What do I like about myself? I think I'm fairly easygoing and I'm quite generous. Probably getting up not too early and going to play soccer. Actually I'd get up, not too early, watch a game of soccer - watch Arsenal, the team I support - that I've Tivoed (so I don't have to get up so early) and then go to play a game of soccer. There were lots of people over the years who said to me, "Just drink in moderation." But y'know, some people don't find it that easy. We've never kicked anyone of the band. I can't think of any reasons that would make me kick anyone out of the band, and I don't think it's my place to do so. I think we've had a great time visiting Canada in our career. We have had great shows there and we have great fans. I've been there on personal trips; not so long ago I had a Canadian girlfriend who was from the Okanagan, so I went up there for a trip. The first album that I ever owned was actually given to me by my cousin - Ziggy Stardust - and it was a really huge influence for me. I was really into the whole glam scene, I liked Gary Glitter and was really into David Bowie after Ziggy Stardust. To this day I'd say he's my biggest hero - David Bowie and Iggy Pop, I think. Well, I don't like to keep talking about it, but buying things on eBay is my guilty pleasure. I think I would be a very sad and lonely individual somewhere. It's the only thing I've been interested in from a very young age. I fell in love with music when I discovered rock'n'roll at the age of ten, through my mother. I remember having a mini party in my room after the MTV Awards in 2006, I think it was, and Christina Ricci turned up for a while and reapplied my makeup for me in the bathroom. Of the top of my head, it might be really depressing, but I like "The Far West" by Rod McEwen.